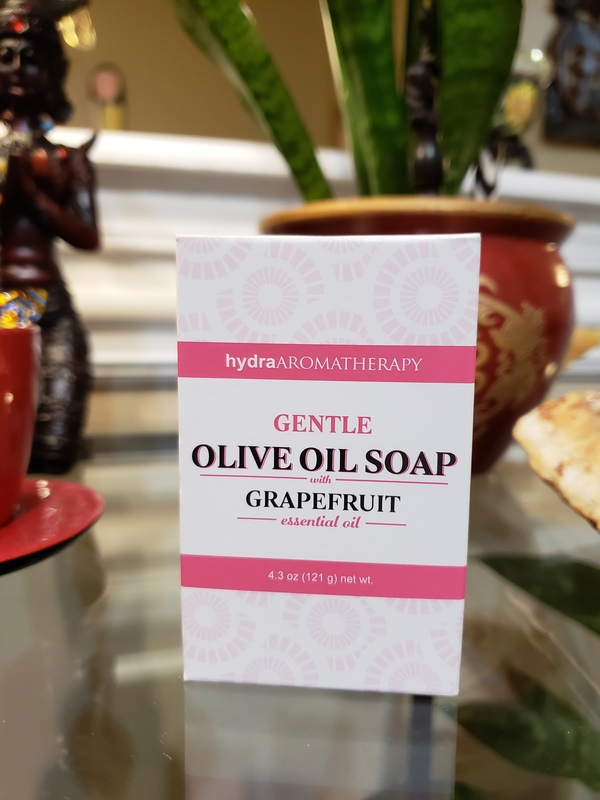 Olive Oil Soaps Made With Essential Oils These nourishing and all-natural Olive Oil Soaps infused with pure essential oils are absolutely divine. We offer these in a softly fragrant and relaxing Lavender and a crisp, invigorating Grapefruit. These soaps are handcrafted with sustainably harvested Palm Oil, Organic Olive Oil and pure essential oils.